I recently posted to my Lightweight Photographer blog a short article highlighting the importance of this Landscape Photography secret. I call it a secret but actually it’s something that’s so obvious, people tend to overlook it. Even when they do recognise the, they fail to comprehend just how vital this element is to their level of success. And to be clear, success is the measure of how many images you can produce that you are happy with. 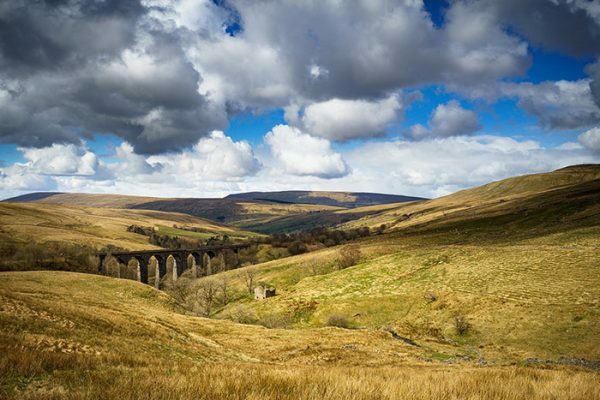 It was mid-April and I was visiting the Yorkshire Dales for a four-day landscape photography shoot. 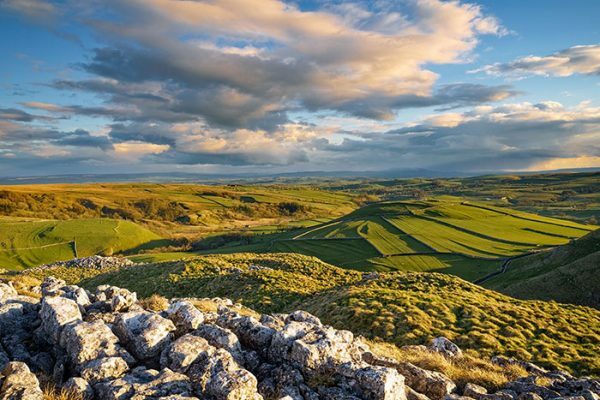 The area is very dramatic and well suited to capturing wide landscape views and scenery. I had lots of images in my mind that I wanted to shoot and the possibilities were building up my expectations. The weather throughout the journey had been cloudy but with a dramatic sky, perfect for the grand views I had in mind. But as we arrived at our accommodation the rain started and photography was pretty much out of the question. The temptation under these circumstances is to persevere, trying to make some type shots work. But rather than succumb to this temptation we found a coffee shop and sat with a list of 60 possible locations that we had previously researched. 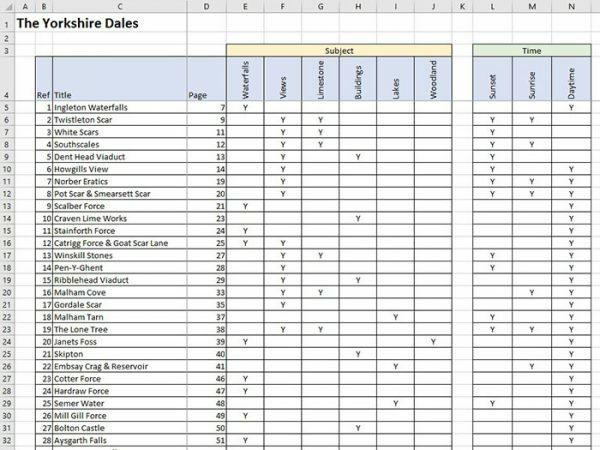 This list was in the form of a spreadsheet which classified each location by the type of photography it would allow. 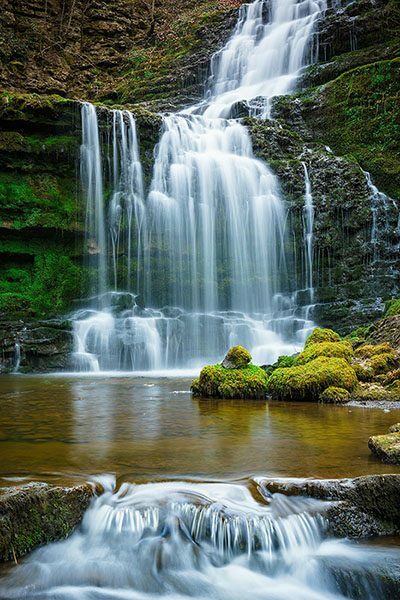 Was the location an enclosed scene, a waterfall, a grand view. We also had the locations classified in terms of the time of day they would be best to shoot at. Was it sunrise, sunset of during the day. We were then able to compare the expected weather conditions to the locations we had researched. We can’t control the weather and in this location such as the Yorkshire Dales the weather is very changeable. What we were able to do though is change our photography location so that the subject matter was suited to the expected weather conditions. By having the possible locations on a spreadsheet loaded to a mobile phone we were able to quickly identify the best photography options. By looking at the weather forecast on a mobile phone app we were able to determine that it would rain for the rest of the day and the following morning would be broken cloud. The decision was made that we shouldn’t try to shoot anything that day but wait for the following morning. The rest of the day would then be free to scout out the planned locations for the following day. The scouting of locations proved very valuable, allowing us to rule out some of the locations for sunrise the next morning. The length of travel (driving and walking) involved to get into position was found to be a major problem with many. At other locations we found fencing had been erected to block the path, but then a hundred yards or so along the fence a new style had been built to allow you to cross the fence; we would never have found this in the dark. At another location (Dent Viaduct) we were able to find a great parking spot where we could shoot from the roadside. Although we didn’t shoot any images on the Friday, the time spent investigating locations was very valuable and meant that we would be much more productive once the conditions improved. The sunrise we had the anticipated for the next morning arrived (although a little more cloud would have been good) and we were able to make the most of it at our chosen location. Following a full day of shooting on Saturday, in the evening we were able to review the weather conditions and plan out the following day. We found the weather forecast was good for the morning but that it would rain in the afternoon. We selected good locations that suited the forecast weather and that placed us near to a waterfall for the afternoon, if the rain did come. This allowed us to minimise driving time whilst again shooting the best location for the conditions. This was pretty much the pattern for the entire shoot. We would check the weather and respond by selecting locations that suited the conditions. We were also able to minimise driving time as well as time spent walking to each location. When the weather conditions deteriorated we would use the time to visit possible locations so that we didn’t waste any time when we arrived. The landscape photography secret that allowed us enjoy such a productive few days was planning. By researching the area and taking steps to prepare, we were able to adjust to the changing weather conditions. The biggest help in this planning was the book shown below. Had we simply headed out to an area and tried to shoot (something most people do) we would never have come away with so many successful images. Next time you’re going out for a day, spend a little time in advance researching alternative locations in case the weather doesn’t do what you want. 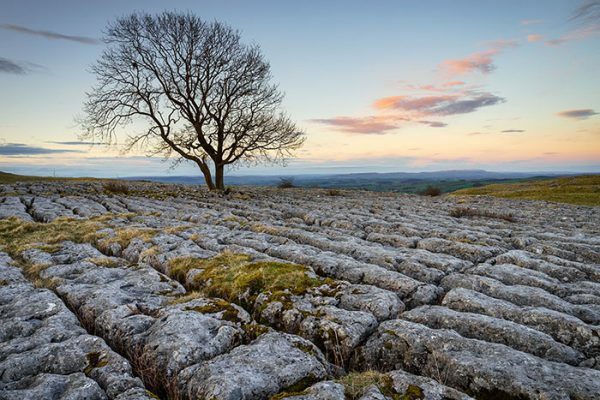 This is a comment not a criticism but the limestone pavement with the tree is an iconic image of the dales above Malham Cove if ever there was one, whatever the season, weather or time of day it is taken. 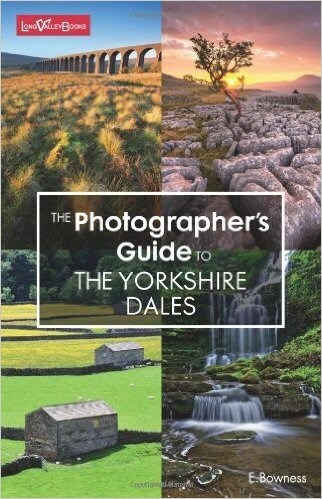 It would be interesting to see a book of shots of one location taken in all these different conditios though not sure if it would be commercially viable – as an e-book maybe but would require a lot of dedication on the photographer’s part!